The third iteration of Ubuntu Kylin released just last month and has already reached 1 million downloads. 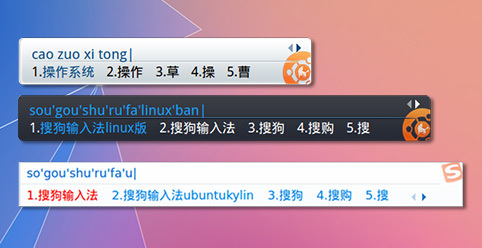 All versions are a desktop replacement based on Ubuntu Linux specifically geared toward Chinese users. The name Kylin comes from a FreeBSD operating system that was originally built for the Chinese Government between 2001 and 2013, and during its final years was rebranded as NeoKylin and moved to the Linux kernel. Since Ubuntu Kylin follows the same release schedule as stock Ubuntu, last months release was based on Ubuntu 14.04 and is Kylin’s first LTS release. Canonical has teamed up with China’s Ministry of Industry and Information Technology to give the public a free alternative to upgrade their aging Windows XP installations. Over the releases of 13.04 and 13.10, Kylin garnered 3 million users in its first year of public availability. Kylin offers a number of localized customizations that stock Ubuntu doesn’t offer to try and make the switch easier. The new Sogou Input Method caters to Chinese typists as there are tens of thousands of characters, called hanzi, in their alphabet. While Libre Office is still the default suite for the distribution, Kingsoft’s WPS Office (China’s top office suite) has a free Linux alpha. XP is loosely estimated to still cover 50-70% of the Chinese desktop space. The wide spread and fuzzy numbers are both largely due to the rampant piracy of the operating system in the region. Microsoft has even said that over 30% of these desktops likely never received any updates, probably in an effort to avoid the Windows Genuine Advantage update. As such, the Chinese government was driven to contact Canonical in order to find a safer, more secure, and inexpensive option to provide an alternative for the public. It will probably take some time to remove XP from its throne, but Kylin definitely seems to be inching ever-closer.